The last time France saw the Statue of Liberty, the copper sculpture was in pieces, being shipped to New York for permanent installation. 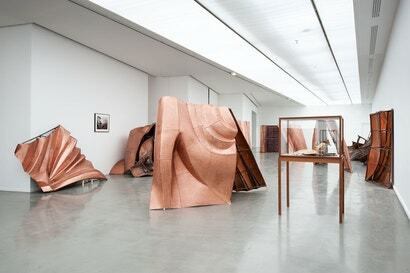 But this summer in Paris, Vietnamese artist Danh Vo has installed his recreation of the iconic monument in 30 copper fragments, each an exact replica of the original — right down to her open book. 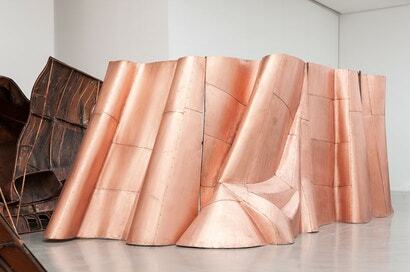 Vo's installation is called We the People, and it's currently ensconced in Paris' Musée d’Art Moderne. Each piece was hand-fabricated by Vo and his team over the past five years, using copper that's about as thick as two pennies. It's easy to pick out which details are which — for example, the folds of her toga-esque dress, or the curve of her nose. The objective of Vo's project, however, is not to erect another statue in its totality but to reconstruct its individual elements and allow them to be dispersed to various museums and art venues across the globe. The scattered fragments remain connected to this universal symbol but emphasise the abstract nature of the concept of freedom. There's actually some interesting historical accuracy to We the People. Frédéric Auguste Bartholdi, the original sculptor of the Statue of Liberty, went through hell to raise the funds to finish her construction, and for years it seemed she'd remain in pieces. 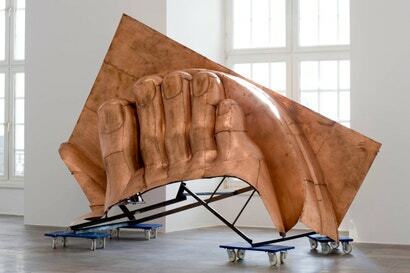 Lead image via Kunsthalle Fridericianum and Contemporary Art Daily.